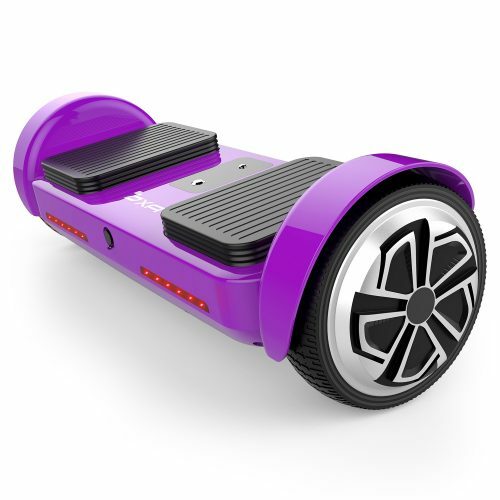 INTELLIGENT SELF-BALANCE SYSTEM AND POWERFUL OUTPUT：With a built-in professional built-in gyroscope and acceleration sensor, the OXA Hoverboard can precisely monitor and coordinate the changes in the user’s weight and center of gravity. The 350W powerful motor ensures a strong stable power output. It can easily cross steep slopes up to 45° and pass over bumpy surfaces. SUPER LONG RANGE AND PERSONALIZED DESIGN: With a charging time of only 2-3 hours, it brings you a max range of 8-12 miles. 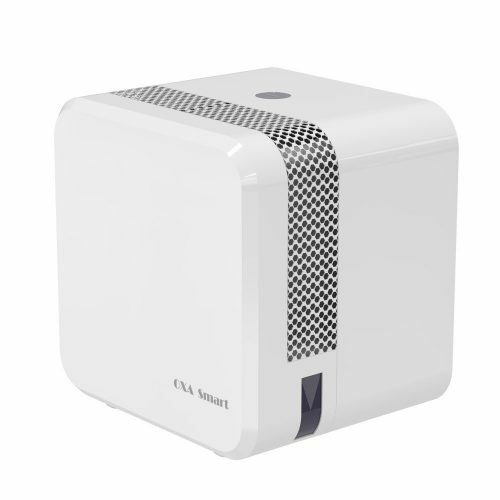 The UL2272-certified highly qualitative and safe lithium battery effectively prevents short-circuit, overheat and leakage. 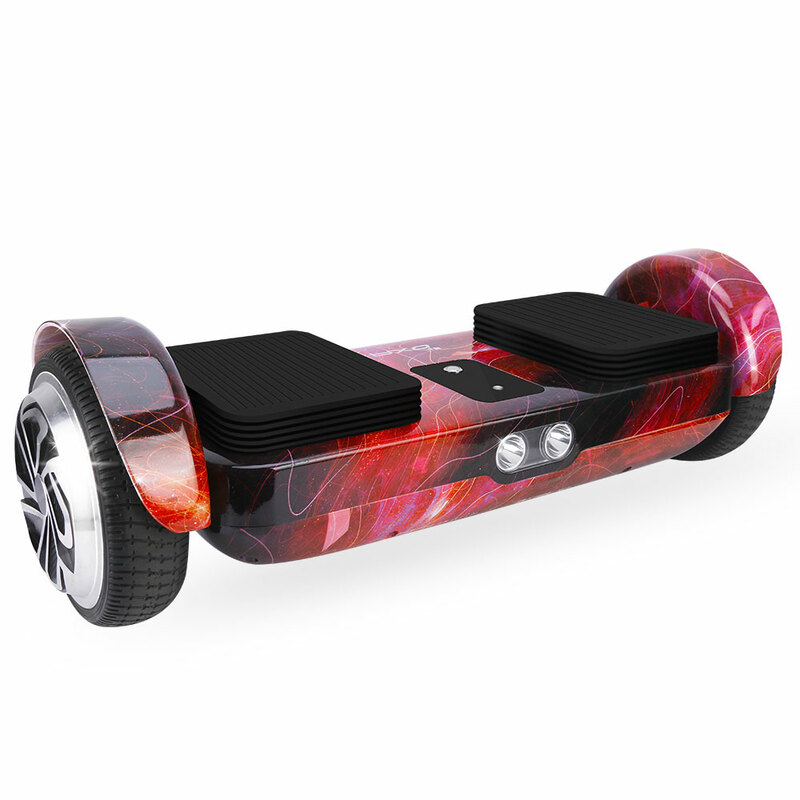 The OXA hoverboard has a personalized bright red aluminum alloy mainboard frame, which is a unique design. 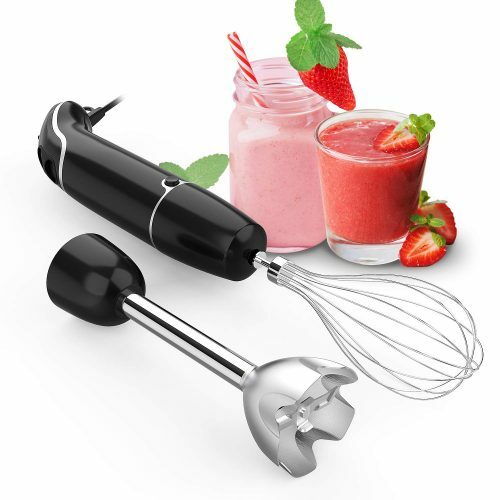 It supports users with a maximum weight of 330lb. WITH DYNAMIC BLUETOOTH SPEAKERS AND SMART HEADLIGHTS: With built-in 4.2 Bluetooth speakers you will never feel bored on your OXA hoverboard. A double smart-LED lights your way enabling evening riding. INSURED FOR 5 MILLION DOLLARS: We’ve purchased Product Liability Insurance from PICC for each scooter. With an insured amount of up to 5 million dollars, you can ride with assurance that you’re protected.